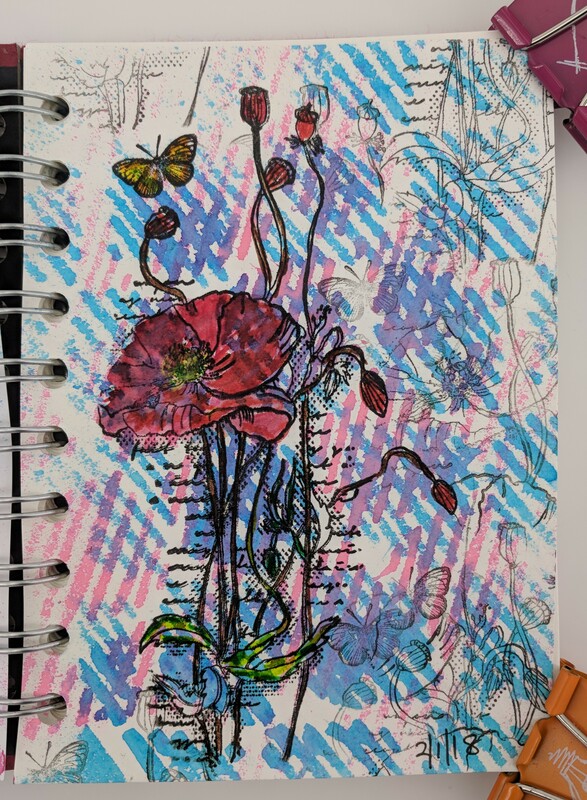 I signed up for an art challenge and the idea is to create one layout a day in a mini journal. After my first attempt at using magazine images for an art journal layout, I decided to turn to M&S Food again. This one was an experiment in using magazine images instead of stamps. I signed for an online tutorial on Vicky P’s Simply Stunning Art Journals on Craftsy sometime ago.